KSCTool works off of virality. 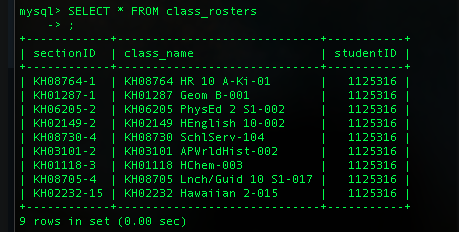 The more the app is used by my fellow students, the more the rosters will fill. This yields more names that a student can view. The making of KSCTool was a great adventure. Through the process I learned a lot, from monitoring server traffic live to being able to psychologically handle the process of debugging a few hundred lines of code. Along the way, I was able to receive help from my friends at Dev League and SudoKrew as well as my friend Makoa. With their input, and with dedication I was able to create an application that helps hundreds of students.